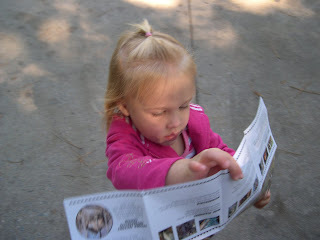 Johnson Journeys: A Week with Animals! This week we spent a lot of time with Animals! 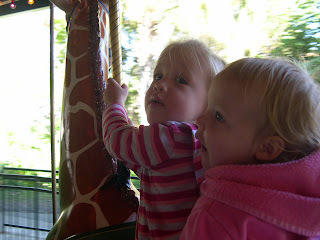 On Monday, I took the gilrs to the Columbia Zoo with a group of friends. We had a great time! Hailey loved the monkeys swinging on the ropes, and even sang the song "No more Monkeys jumping on the bed" when one monkey fell off the ropes! 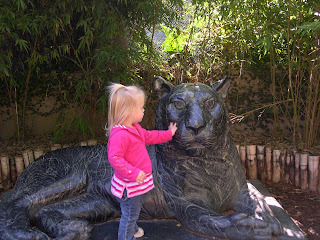 Lydia would get so excited and give a "salute" to the animals whenever she spotted one! She is so animated! It was a fun outing, although I was completely exhausted by the end of the day!